Chong Shu Jing and Neo Moon Wei were awarded Top in the World for AS (Advanced Subsidiary) Mathematics and Top in the World for AS Law respectively. The Top in the World award recognises the exceptional performance of students who achieve the highest marks in a subject globally in an examination taken by more than one million students in over 10,000 schools annually. “My success brings me a step closer to my aspiration to pursue degree studies in accountancy. What I like about studying at INTI International University, which has helped me get this far, is the distraction-free study environment where excellent lecturers and study partners are available to help me realise my potential,” said Moon Wei, who believes that university life should be enriching and enjoyable. The Cambridge A Level provides students with a wealth of options, right from having the opportunity to gain entry into many of the best universities in the world and studying a wide range of degree courses, to equipping students with reasoning ability and thinking skills as they embark on their degree programmes. University of Oxford, University of Cambridge, London School of Economics, National University of Singapore and University of Hong Kong are among the top universities in the world that have accepted INTI’s Cambridge A Level students. Many students have also been offered full or partial scholarships by these universities. Students of INTI’s SACE International programme (formerly known as South Australian Matriculation) also take their places among the top high achievers in the world. 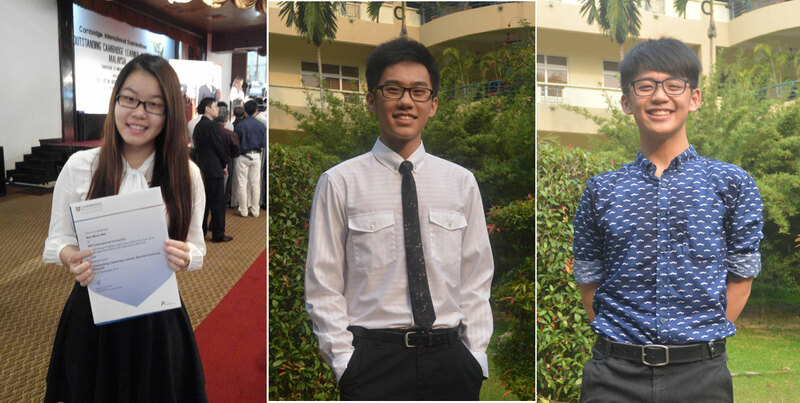 Yap Aik Chern and Justin Ong Kywen scored ATARs (Australian Tertiary Admission Rank) of 99.45 and 98.05 respectively in the 2014 SACE International examination. Aik Chern and Kywen, former students of SMK Bukit Mewah in Seremban, were also recipients of the SACE Merit Certificate for English as Second Language Studies and Physics, and SACE Merit Certificate for Physics respectively. The internationally recognised SACE International qualification is equivalent to Year 12 of education in Australia. It allows students to gain direct entry into universities in Australia, New Zealand, the UK, USA and other countries. Assessment of individual subjects in the SACE International programme consists of school assessment (70%) and external examinations (30%). INTI – the largest centre for SACE International in the southern region of Malaysia – is one of the few SACE International examination centres in the country that are recognised by the SACE Board, which awards the South Australian Certificate of Education and administers the SACE International programme. INTI’s SACE International graduates have gone on to complete their university education around the world, establishing successful careers in fields such as commerce, medicine, pharmacy, engineering and law.